Dr. Braatz is a board-certified Ob/Gyn physician who lives in northern California with his wife, Lori, who is a labor and delivery nurse. They both work in Susanville, California and have three grown children. Dr. Braatz retired from the Navy in 2008 after serving as the chairman of the Ob/Gyn Department at the Naval Medical Center, San Diego, and also serving with the Marine Corps First Medical Battalion in Somalia (Operation Restore Hope), and the Iraq War (Operation Iraqi Freedom). 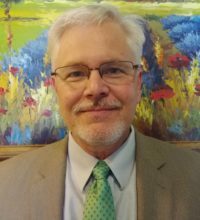 He serves on the board of the American Association of Pro-life Obstetricians and Gynecologists and has written op-ed pieces for newspapers, magazines, and pro-life websites. He was awarded the Humanitarian Service Award by the American College of Obstetricians and Gynecologists in 2008 for his medical missions work in West Africa. Dr. Braatz and his wife both volunteer with Teen Challenge, an organization providing Christ-centered outreach and recovery to those struggling with alcoholism and addiction.